There’s no getting around it. 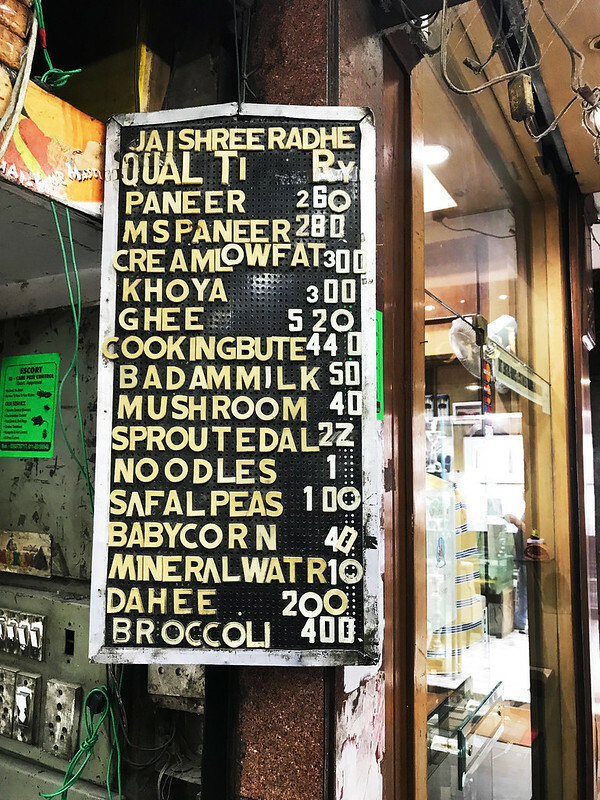 The Delhi Walla loves those sleepy markets where an entire day can be whiled away and where time seems to charmingly come to a halt. That’s not the only reason I frequently, and leisurely, turn up at Aurobindo Place Market in south Delhi. The building — constructed by Delhi Development Authority — is so aesthetically challenging that it offers pause for thought. The same is true for that gigantic concrete butterfly in the park outside. 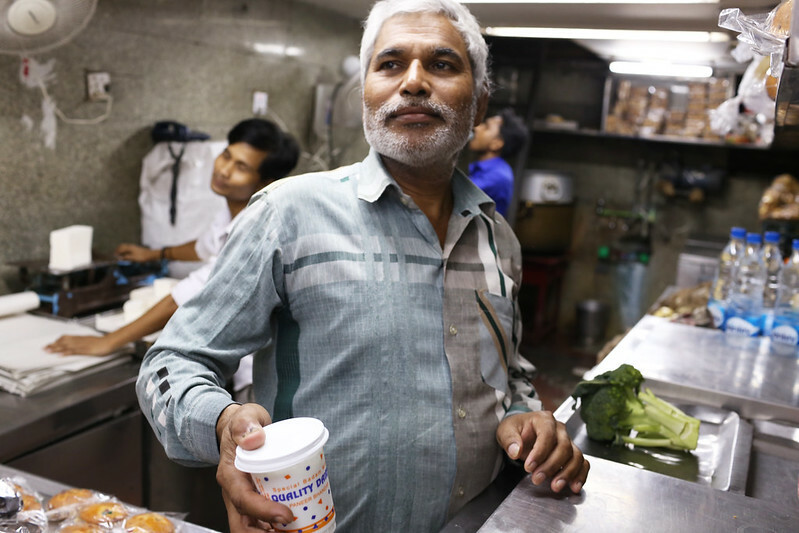 But the real reason why I patronise Aurobindo Place is the amazing almond milk, a genuine elixir, sold at a modest dairy booth. It turns a lazy bumpkin into a bundle of energy and can even work the other way, gently calming the soul into a state of sweet drowsiness. What’s the secret? Crushed bits of almond floating invisibly in thick creamy milk. By the time you’ve half-finished the drink, the almonds nearly overwhelm you and utter contentment sets in. Friends have reported the same uplifting experience with this remarkable beverage. Many of them have a set shopping ritual that ends with this drink. 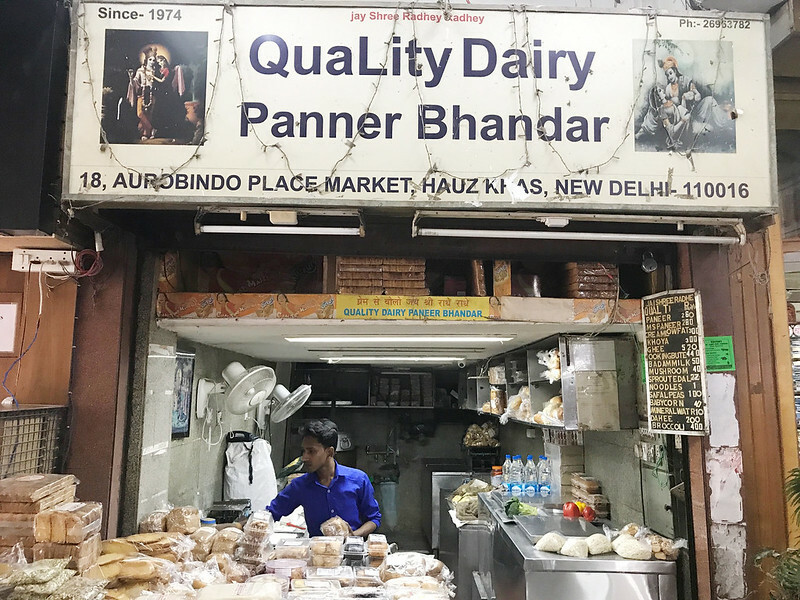 For the past 20 years or so, it has been prepared every morning by the genial Shyam, right inside the booth — Quality Dairy & Paneer Bhandar. 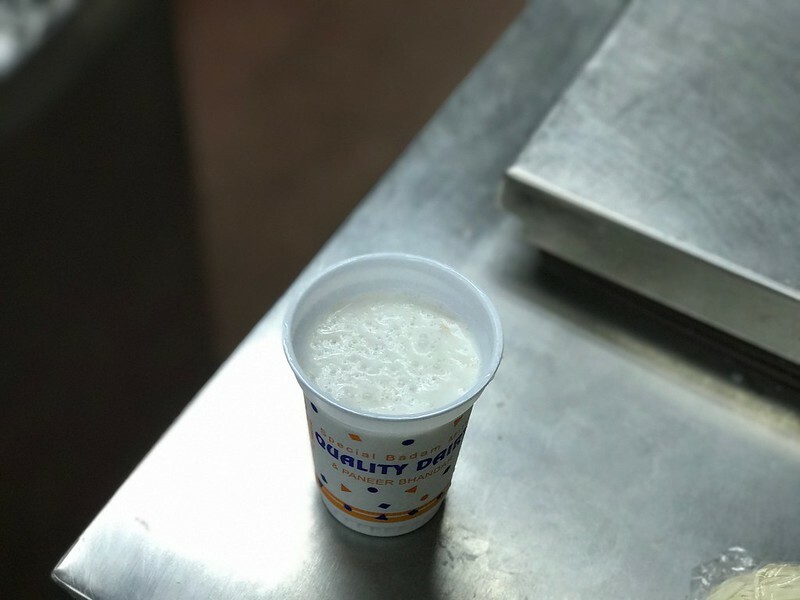 Founded by Khajan Singh Aggarwal, it sells other dairy products as well (some swear by its paneer), but I place all our chips on the almond milk alone. 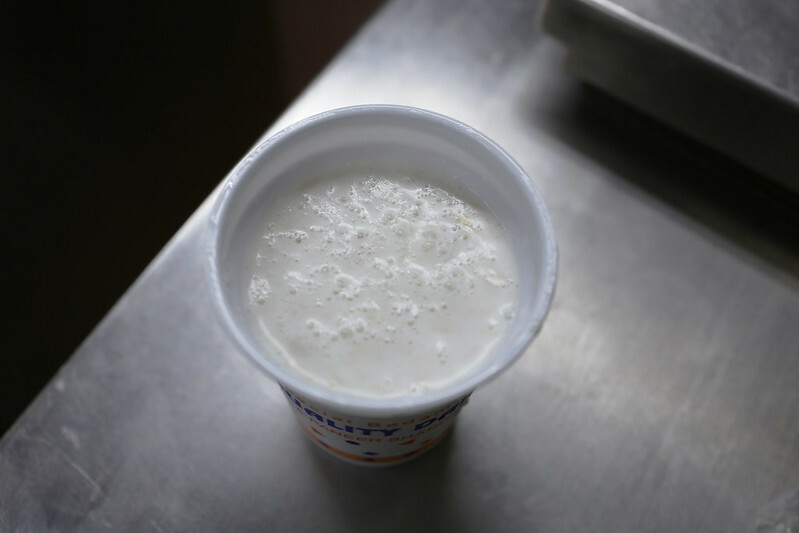 Sorry for the semantic – its not almond-milk, it is almond and milk or Milk with Almonds.